North Myrtle Beach-based contractor, Weaver Construction Services, improves and beautifies asphalt and pavement roads, streets, and parking lots all year long. With that, they paint thousands of parking lot lines every year, including handicap spaces, stencils, and signage. They work directly with sitework contractors, builders, engineers, and developers in new projects that involve brand new layout parking lots. They also re-stripe existing parking lots for businesses and communities in the Carolinas in order to improve aesthetics, visibility & safety, re-design, and to meet strict and ever-changing ADA codes. In 2017, Weaver Construction Services, painted and/or re-painted over 1,000 handicap parking stalls and intend to beat that number this year. But, this time, for a bigger cause. For every handicap parking space that the company paints and/or repaints this year, they will donate $1 to the Grand Strand Miracle League. Their goal is to double last year and donate more than $2,000 for 2018. Keep up with Weaver’s progress on this initiative via their Facebook , Instagram, and YouTube pages. The Grand Strand Miracle League was founded in Myrtle Beach in 2001, The Miracle League became the second all-access baseball league in the nation. Fueled by generous community support and a passionate Board, an ADA approved, adapted baseball field was constructed. The rubberized surface of the field is perfect for wheelchairs and walkers, making it the ideal place to start a league with the following rules: Everyone Plays. Everyone Crosses Home Plate. Everyone Wins! See more at www.grandstrandmiracleleague.com. 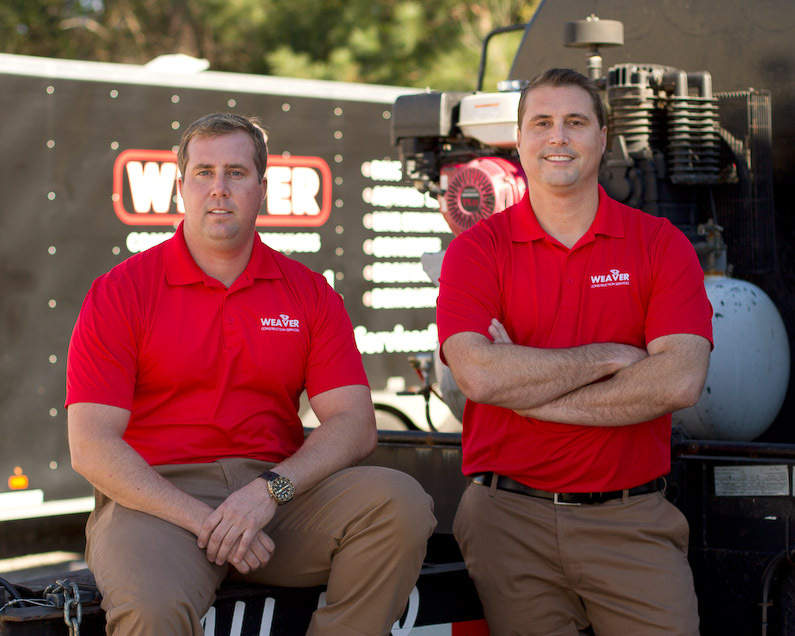 Weaver Construction Services improves and maintains asphalt, concrete and drainage systems in the Carolinas. The #PavementBrothers provide everything from striping, paving, sealcoating and drainage repairs in order to “Improve Your Property at the Ground Level.” Check them out at www.weavercarolinas.com.